Looney Tunes is an American animated series of comedy short films produced by Warner Bros. from 1930 to 1969 during the golden age of American animation, alongside its sister series Merrie Melodies. Looney Tunes came first in 1930 made of cartoons that featured both a cartoon character - Bosko - and songs from the Warner Bros. library. The cartoons were released as added attractions in movie theaters by Warner Bros. With the success of Looney Tunes came a second series of cartoon shorts, Merrie Melodies in 1931. From the beginning, Looney Tunes and Merrie Melodies drew their storylines from Warner's immense music library. Merrie Melodies eventually settled into a rhythm of being one-shot cartoons – single, standalone shorts with a self-contained story that was not a part of an ongoing series whereas Looney Tunes always featured a star character – first Bosko, then Buddy, and then Porky Pig & Daffy Duck. Both series made use of the various Warner Bros. cartoon characters such as Tweetie Pie and Elmer Fudd. 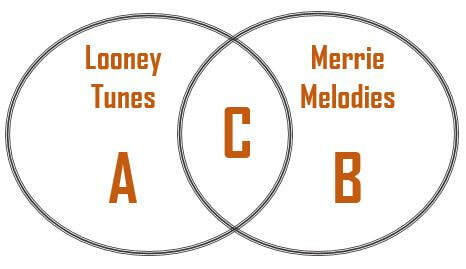 By 1937, the theme music for Looney Tunes was "The Merry-Go-Round Broke Down" and the theme music for Merrie Melodies was an adaptation of "Merrily We Roll Along". Merrie Melodies initially ended each short with “So Long Folks,” but Looney Tunes ended with the slogan "That's all Folks!“ Eventually, the latter became the slogan for both.